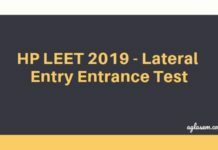 HP LEET 2019 Answer Key: Himachal Pradesh Lateral Entry Entrance Test (HP LEET) 2019 Answer Key will be published on the official website. 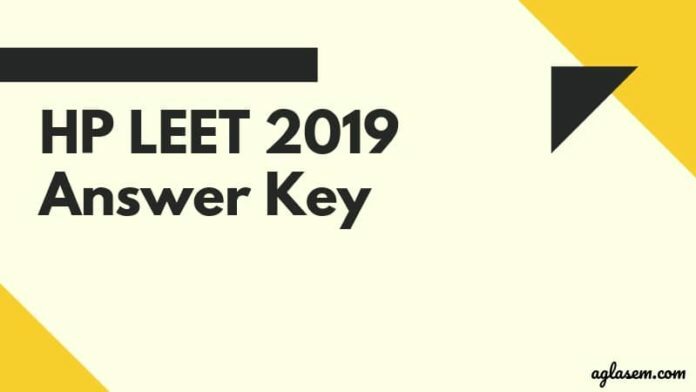 The HP LEET 2019 Answer Key will be published by H.P. Takniki Shiksha Board, Dharamshala. candidates who will appear in the Lateral Entry Entrance Test 2019 would be able to check the answer key online and also the direct links would be provided below. Last year the answer key was released within 2 days of the exam. Asper the marking scheme prescribed by the officials, candidates would get +4 marks on each correct answer and -1 on each wrong one. 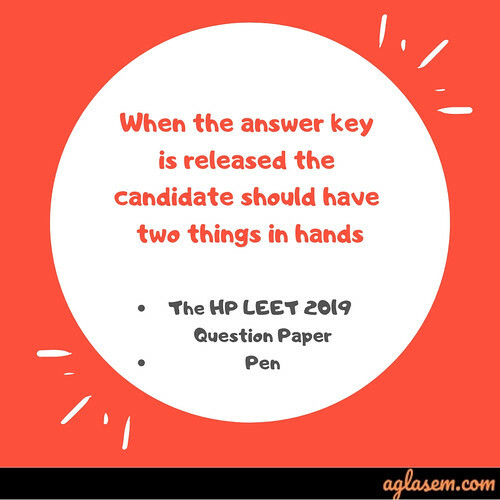 Candidates can check all the information regarding HP LEET 2019 Answer Key from the article below. 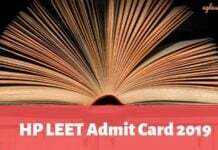 Latest: Exam date of HP LEET 2019 has been released. Answer Keys: Answer key is going to be available on the official website www.hptechboard.com. How can one know marks using the marking scheme? Marking does help in knowing the marks in terms that if a candidate knows the right exam pattern and the scheme that was followed in the exam, one can implement the same methodology to evaluate the expected marks/scores. The Lateral Entry Entrance Test shall be conducted through a single question paper containing 25 questions each from Mathematics, Physics, Chemistry, General Knowledge. Therefore the candidates will get a total of 100 questions to attempt. Each correct answer fetches 4 marks and 1 mark is deducted for every incorrect response. The candidates will have to choose the correct answer out of the 4 options and darken the circle against the appropriate choice in the OMR response sheet using an only blue/black pen. All you need to do is tick mark the correct option of the question you have attempted by comparing them simultaneously with the official answer key. If your answer is correct then award yourself 4 marks and deduct 1 mark if the answer is incorrect. 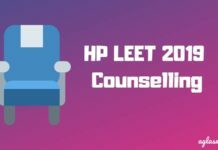 How to check the HP LEET 2019 answer key? Here, we have enlisted the steps to check and download the HP LEET 2019 answer key. Candidates must go through the pointers given below to get to know the same. Click the above direct link that is provided on this page. The link will take you directly to the answer key page. Here you will find 04 answer keys corresponding to 04 series of question papers of HP LEET 2019. The answer keys will be named as Series A, Series B, Series C, and Series D.
Download and take a print out of it to evaluate the marks. What after the answer key publishing? After the answer key, the board will announce the result along with publishing of the Merit List based on the marks secured in LEET-2019. The result will be released on June 01, 2019 and will be available on H.P. Takniki Shiksha Board Website: www.hptechboard.com. No candidate will be sent their rank card through post however it can be downloaded from the Board website. Please note that candidates are not allowed to raise objections whatsoever, regarding the answer key. The displayed answer key will be the final one. The HP LEET 2019 answer key may also be released by some private coaching centres on the same day. But please note that these will unofficial answer keys and shall not be considered as equally genuine as the official answer key. you may take hints from it but we advise you to wait for the official answer key. Candidates are strongly advised that the unofficial answer key will not guarantee the exact marks or scores to be attained. HP Lateral Entry Entrance Test (LEET) is conducted by the Himachal Pradesh Takniki Siksha Board, Dharamshala for the students who are seeking admission in various Polytechnic Programmes in government and private colleges of the Himachal Pradesh. As soon as the candidates are done with the entrance exam, they can check their answers by referring to the official answer key. The result would be declared on the basis of the final answer key and then candidates would be called for the counselling session. Click here to check the SERIES A final answer key for LEET 2018. Click here to check the SERIES B final answer key for LEET 2018. Click here to check the SERIES C final answer key for LEET 2018. Click here to check the SERIES D final answer key for LEET 2018.